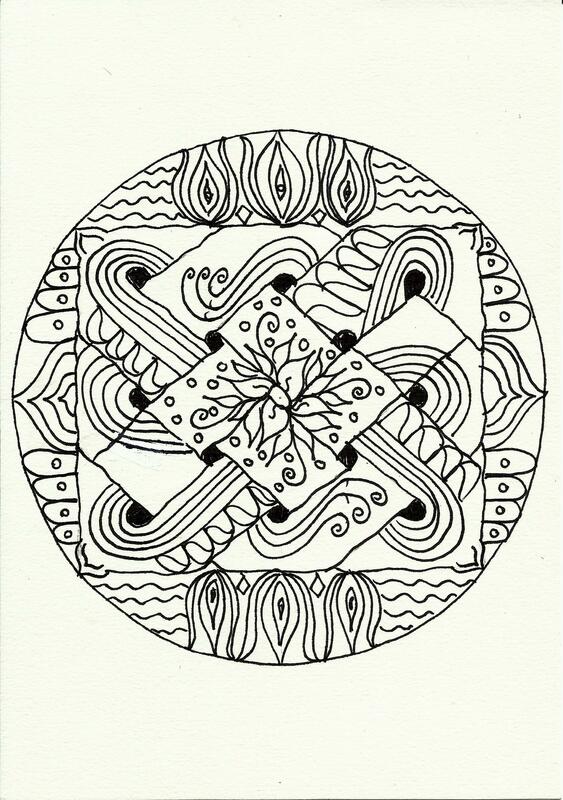 I’d like to share with you these Mandalas which have been created for anyone wanting to enjoy spending time colouring them. So please feel free to click on the images, save and print out; and colour them! 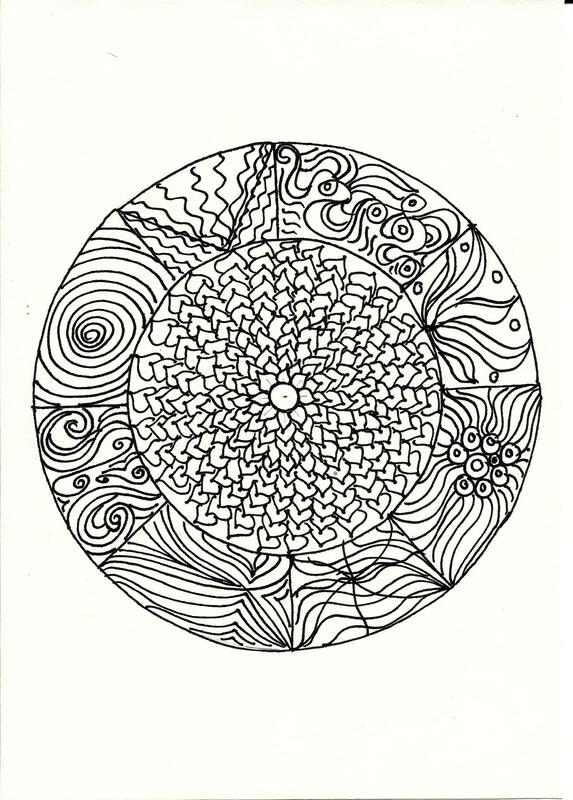 Usually, before starting to colour Mandalas one can close their eyes, place their hands on the paper and state or think of an intention such as finding some calm, wanting to release any anger or any other intention you have in mind. Then, either in the quiet or listening to your favourite music, colour these from the middle out. Any thoughts that do come to mind when you are colouring mandalas should be welcomed, acknowledged, observed then let go. Click image to take you to Linda’s mandala! I shall take your advice and not hold my breath…until I see your creation ..teehee. Oh how very fun! I have a mandala coloring book but they all look computer generated, not energetically infused like yours do. I am going soon to the library to print some school work, I will print these as well as use one as a Notebook cover for a class. I can enjoy coloring it in. My sister has issues with her imagination but if I give her these to color it may help. Thank you for the gift blessed sister. I’ve been admiring the Mandalas on Google image…each one so intricately designed and drawn…and I wondered…with so many of them out there already free…would it benefit for these to be put out there as well? Then I said to myself..”I don’t care! Just want to share!” LOL. I did not get to print them. I had to have cash and it was 20 cents a page. 😦 So I will print them though. I have a huge art project planned in my head that I am so excited to start, as well. I do mixed media. I can see this one, but it is going to take awhile. Again I love your mandalas and your sharing of them. I love this! when I have access to a printer I plan to print some. coloring is one of my fav. activities, it’s almost primal. so glad you ignored your doubts and went forward Shree. I love crayons because they were my first love! Great idea but I do not have a scanner so cannot ” submit ” them. I hope to get to a printer soon and get started ! Thanks Linda 🙂 I love colouring too!! Love playing with colours ! Those are all very nice designs, Shree! You’ve put a lot of time and effort into making these mandalas. This is a very interesting and unique project. I printed one out today – 2 copies so I can make more at my leisure! I do not know how to post them here, but will be happy to try if you can help me once I complete them. Ooo..will be get to see your pastel drawing? And take your time Sue…they’ll be here 🙂 Thank you so much for suggesting that I link your creation to the mandalas…I was actually thinking of doing that!! Linda’s mandala is quite beautiful. Just a thought, but with your talents and abilities you can make a similar video with the mandalas. ????? Ooo….I don’t know…but it’s something to think about! 😀 Thanks for the suggestion!! Have you tried to colorize any of these in watercolor? You could use permanent markers to outline them then fill in all the shapes with watercolors. Copic pens would be another fun way to colorize them. I haven’t personally done them in watercolours, but Sue Dreamwalker did! I linked her mandala to her blog post..and it turned out beautiful! I actually have not personally coloured any of these myself.hehe. Ah…Copics…..I just spent over 200 Malaysian dollars for my Prismacolours so I’m purposely not thinking of Copics which go for about the same here in Malaysia! I may decide to get some as a Christmas present though..hehe. What a great resource, Shree! Your mandala designs are absolutely beautiful. Coloring Mandalas is the most wonderful way to channel anxiety…to see the anxiety transformed is truly healing in the end. These are just wonderful! And how kind of you to share. 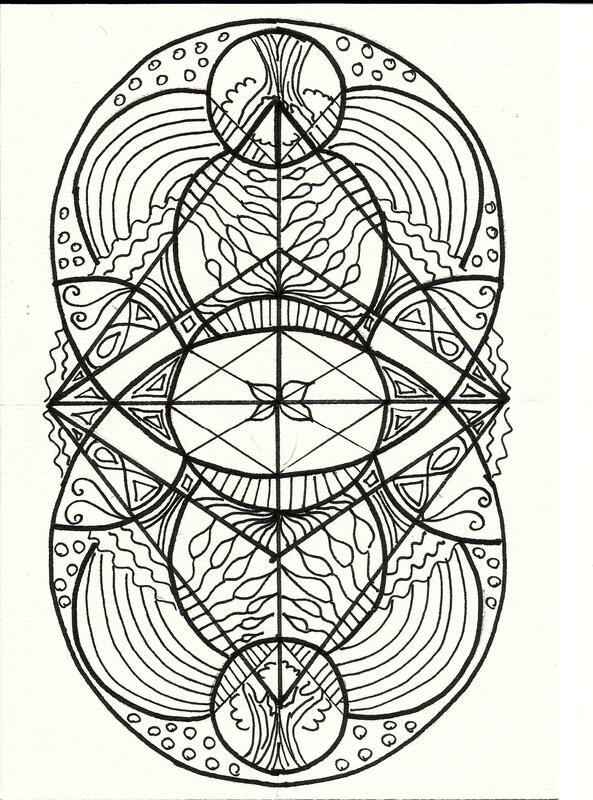 My sister drew a few mandalas back in the day. I plan to print one of these out soon and perhaps use it to work through my grief. God bless! P.S. I meant to tell you how beautiful they all are! You have a wonderful talent. Not sure if you’re asking how to colour a mandala or how to print it out. To print, just right click the one you like, save as a picture in your computer and then print it out. If it’s about how to colour a mandala, generally one starts from the centre and colours outwards (one “layer” at a time). To choose the colours, you can either lay all the pencils on the table, close your eyes and pick one at random each time….or you could just pick the colours that seem to “jump out” at you. I was actually wondering what a mandala is?